Until 1935, the little vintage Renault FT was the staple of the French tank force. On the mainland, it had been upgraded as the rearmed FT31 but, throughout the colonies, it was left unchanged since 1918. It was clear by 1932 that the new tested Renault tanks, like the NC27, were not sufficient for the task demanded from them. They were too heavy, complex, costly and, therefore, not suited for mass-production. The original requirements dated back from 1926 and asked for a “char d’accompagnement” (support tank) that could replace the FT and still operate in the same manner. However, with the increase in AT gun caliber and velocity, the emphasis was put on protection. In early 1933, Hotchkiss proposed a solution, with an affordable small tank which turned the table. But instead of purchasing some directly, for political reasons and due to the contract size, other contractors were asked in August 1933 to present their own model. Fourteen responded, ranging from automotive companies to small armories. Renault, badly wanting this contract, rushed a prototype which was ready when a new specification was emitted on June, 21, 1934. It asked for an increase of armor, from 30 to 40 mm (1.18-1.57 in). Renault could not revise the design on time and was the first to present its ZM prototype to the Commission de Vincennes, on 20 December 1934. The model performed well, but was sent back to the factory for add-on armor and mounting the new APX (Atelier de Rueil) cast turret in April 1935. Tests were then resumed when, due to the growing tensions caused by the swift and massive German rearmament, the commission awarded the new tank a contract for 300 machines as the R35, on 29 April 1935. This was before the model could be perfected by Renault for pre-production. By 4 June 1936, the first delivered were promptly tested and modifications performed during production. The hollow hull price was 190,000 FF, and with engine, mechanical parts and the turret, rose to 1,400,000 FF, including all the modifications done (the equivalent of 32.000$ at the time). Contrary to the Hotchkiss H35, it was also produced for export. The R35 bears a strong resemblance to its rival, the Hotchkiss H35. 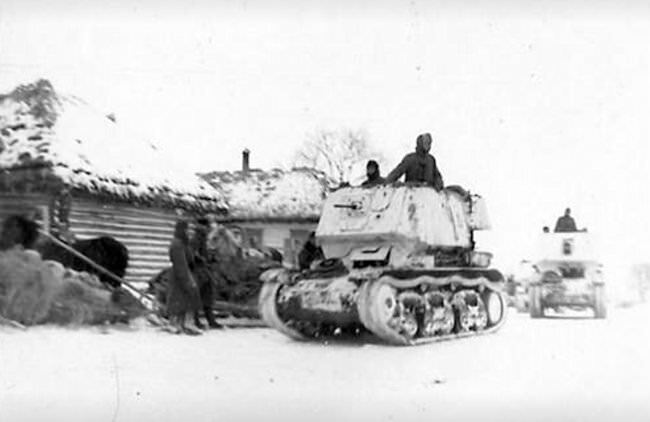 They shared the same APX turret, the three-module hull construction and placement for the driver and engine. However, their dimensions differed, as well as the placement of the hull casemate, placed further to the rear for the Renault and, most obviously, the drivetrain. The hull, as stated above, was made of three main prefabricated cast sections bolted together, while on the H35 these were welded. This helped improve production times. Everything else was welded-on. Maximum thickness on the glacis was 43 mm (1.69 in), and 40 to 30 (1.57-1.18 in) on the hull lower sides, rear and engine deck. The turret itself was made of hard cast iron, 30 mm (1.18 in) thick. The running gear was based on the one used on the cavalry light tank AMR 35, with five double roadwheels encased in two sets of bogies and another single one at the front. All three were suspended by massive horizontal coil springs, with characteristic rubber ringlets. The drive sprocket was at the front and idler at the rear. The tracks reposed on three rubberized return rollers. Repartition in the hull was for a crew of two. The driver position was offset to the left and the commander/gunner was in the turret behind. The final drive and differentials were in the hull nose. The driver had a Cletrac differential with five gears and steering brakes at his disposal. He had two hatches and one periscope for vision. The Renault V-4 85 hp engine was at the right rear, with a self-sealing 166 liter gasoline tank on its left. On final production tests, practical top speed was measured as 20 km/h (12.4 mph), which could fall to 14 km/h (8.7 mph) on soft or bumpy terrain. Fuel consumption was 212 liters/100 km off-road, but that was not a problem since it was believed 50 km (31 mi) was more than sufficient for a real breakthrough on a static front. The turret received a dome-like rotatable cupola with vertical vision slits. It was free running on a ball track ring, either traversed by the weight of the commander or cranked more precisely for aiming. The commander normally stood on the tank floor. As customary in French practice, the turret had a rear hatch that could be hinged down, allowing the commander to sit on it, legs inside, for external observation. The early turret model was the APX-R, equipped with a L713 sight, mounting the short barrel 37 mm (1.46 in) Puteaux L/21 SA-18 and a coaxial 7.5 mm (0.29 in) Châtellerault fortress machine-gun. This main gun was effective only against concrete fortifications at relatively short range, as muzzle velocity was only 300 m/s (984 ft/s). At best only 12 mm (0.47 in) of armor could be defeated at less than 500 m (1640 ft). Once again, it was due to tactical limitations. It was never intended to deal with other tanks. Normal provision of ammo was 72 AP and 58 HE rounds plus 2400 cartridges. The total ordered, due to the degrading international situation, rose to 2300 units in 1939. But due to the frequent delays experienced by APX for the turrets, by 1936 Renault had succeed to deliver 380 hulls, while only 37 turrets were available, so the annual delivery rate fell to just 200. On 1 September 1939, only 975 vehicles had been delivered to the army out of 1070 produced total. They just then replaced most units still equipped with the Renault FT, but crews needed a few weeks to retrain. In consequence, in May 1940, there were still eight battalions of FTs operational due to the lack of trained conscripts. In June 1940, at last, 1601 R35 had been built by Renault, most for the Army. 245 had been exported to Poland (50), Turkey (100), Romania (41) and Yugoslavia (54). Another number presented is 1685 vehicles, indicated by the hull numbering. Production ceased after the capitulation. Due to insufficient tests before production, it appeared quite quickly to the units that the R35 suspension was notably unreliable and experienced many failures. So work started in 1939 at AMX (the new name of the Renault tank department after 2 December 1936) to devise a better system, which could be fitted on the production run. This new system counted twelve wheels in six pairs suspended by large vertical coil springs. These were protected by armored side skirts. The engine was upgraded and more powerful, while the hull was lengthened at the rear, and the turret was of the new APX-R1 cast model with a L767 sight, mounting a long barrel 37 mm (1.46 in) L/35 SA38. Last but not least, a radio was systematically fitted. The new gun was capable of defeating 40 mm (1.57 in) of armor at 500 m (1640 ft). For the ordnance it was the Char léger modèle 1935 R modifié 1939 and began to replace the R35 after the 1540th unit. Unfortunately, only few were delivered in time. The reconstituted Polish 10th Armored Cavalry Brigade in France was the first unit to be equipped with the new tank. 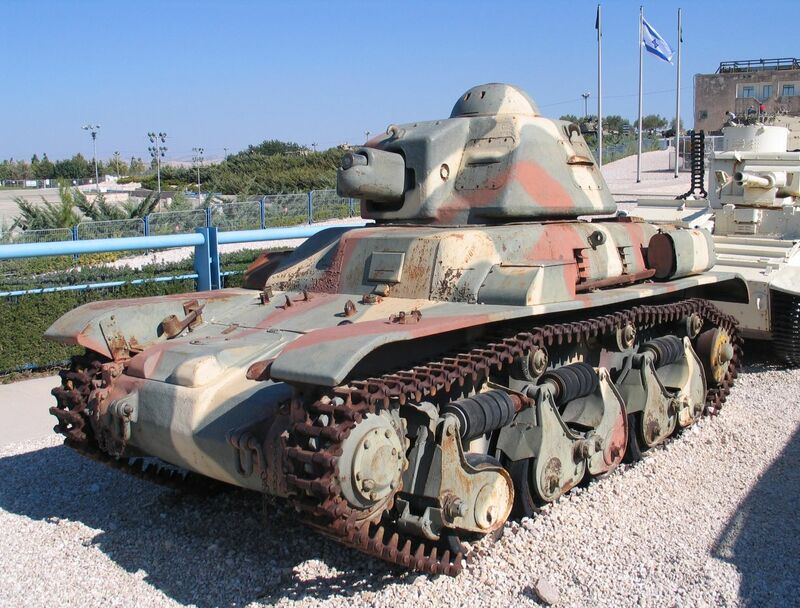 At the same time, since 1939, some R35s were re-equipped with the new APX-R turret and long-barrel 1939. These were known as the R35 modifié 39, but only a few were converted, given to unit commanders. AMX also produced quantities of steering tails prior to the war to improve their trench crossing capabilities. These were not always fitted. At the time of the German attack on France, the French army had 900 R35s in service, then the most numerous model available. According to the French military doctrine, it was to be used only for direct infantry support. However, its gun proved to be able to defeat Panzer I and IIs, while the frontal armor could withstand even a direct hit from the standard 37 mm (1.46 in). The R35 equipped the Ist, IInd, IIIrd, IVth, Vth, VIIth, VIIIth, IXth “Armées”, plus the “Armée des Alpes” facing the Italian border, into Groupements de Bataillons de Chars. These were strictly tank units without other organic component, and only committed to infantry support in close coordination with infantry units. However, on 15 May, when it was clear that the doctrine was failing, 135 R35s from the 2, 24 and 44 BCC were allocated to a newly formed 4th DCR (Division Cuirassée de Réserve) while two others (40 & 48 BCC) reinforced the 2nd DCR. Later, 300 tanks from the materiel reserve were also reserved these new units. Many R35s were also found on the Colonies. The 63 and 68 BCC were in Syria (95 tanks) and the 62 BCC in Morocco with 30 tanks. The irony was the first faced Australian troops during Allied invasion of that mandate territory in 1941, while the others faced American troops in November 1942 (operation Torch). Later on, the Free French 1st CCC constituted a unit with available R35s for operations in this sector. 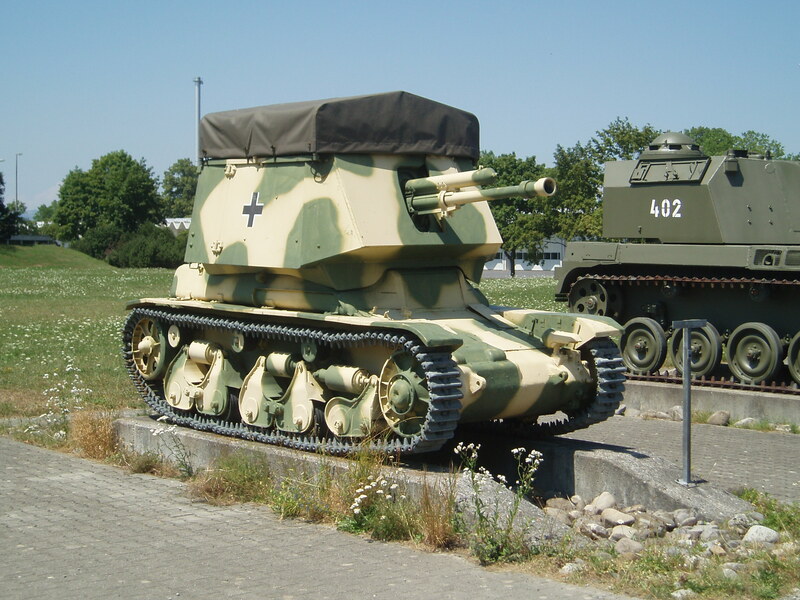 In 1938, the Polish Army bought two R35s for tests with the Office of Armored Forces Technical Research. The tank did not meet the requirements, neither did the Hotchkiss H35. 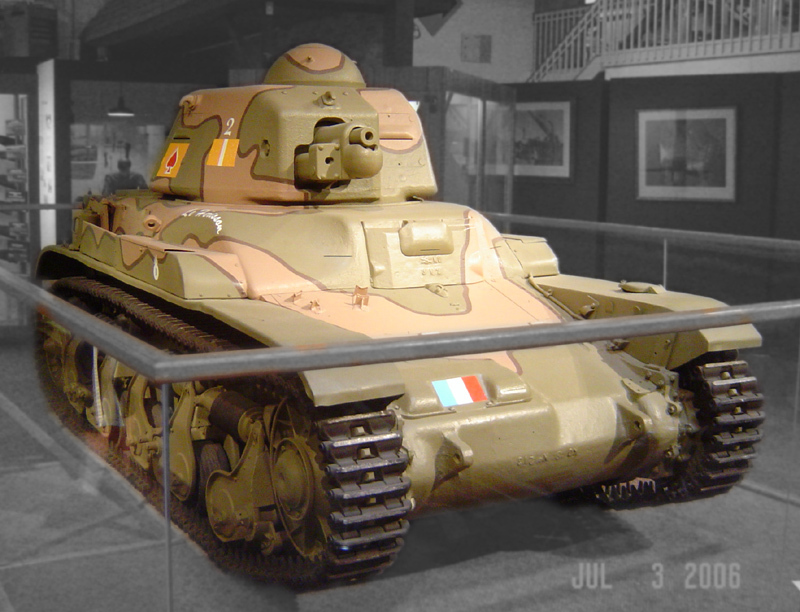 The Polish Army wanted to buy the SOMUA S35, but the French government did not give its consent. In April 1939, due to the impending conflict with Germany and the lack of opportunities to increase production of the 7TP, 100 R-35s were ordered. 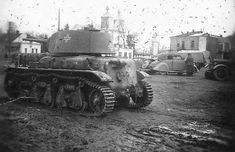 The first batch of 50 (including three H35s) was delivered in July 1939, and were given to the 12th Armored Battalion in Lutsk. In September, this unit partly formed the 21st Light Tank Battalion, entrusted with the defense of the border with Romania. Others were incorporated into the composition of the group “Dubno”, which took part in the battles against the Germans at Strumiłową and the Soviets at Krasne. 34 tanks of the 21st Light Tank Battalion crossed the border of Romania on September 18, and were interned. After the Polish capitulation, however, a cavalry unit was raised in France, which fought in May 1940. The Kingdom of Yugoslavia ordered and obtained 45 R35s in April 1940, where they formed two brigades. One of these saw heavy action against the Germans around Belgrade. Surviving ones were re-used by the Independent State of Croatia, which fought alongside the 11th Panzerdivision on 13 and 14 April 1941. After that, they formed the Croatian 11 Dalmatinska udarna brigada (Dalmatian brigade), which fought against partisans. The German army snapped no less that 843 R35s, according to the Waffenamt, in the aftermath of the French surrender. 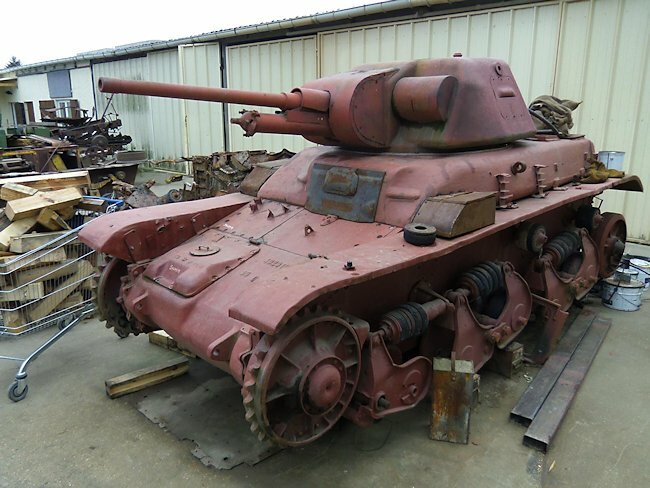 131 of these used directly as Panzerkampfwagen 35R 731 (f) for security, mainly in France, close to their spare part base, but also in the Balkans and possibly in the conquered territories of Russia for anti-partisan operations. Others served as driver training vehicle, turretless, while their turrets found an application on various armored trains, yet again, against the French resistance or partisans throughout Europe. Other turrets were used as pillboxes in various strategic positions in France and the Netherlands. Fourteen of these driver training vehicle, still with their turrets, saw action at Sainte Mère l’Eglise with the 1057th Grenadier Regiment on 6, June, 1944. There was also a considerable number (174 according to most sources) converted into an early tank-hunter, the 4,7 cm PaK(t) auf Panzerkampfwagen 35R(f) ohne Turm, a variant similar to the Panzerjäger I equipped with the Czech Skoda A6 PUV vz.37 47 mm (1.85 in) gun. These conversions were not successful, however as they were too high and slow. Although some saw service in the summer of 1941 (Operation Barbarossa), most were posted in the Channel islands, Netherlands, with Pz.Jg.Abt.657, which fought at Arnhem, and the remainder saw action in Normandy, France in 1944 (Schnelle Brigade 30 and Schnelle Abt.517). One hundred and twenty four R35s were given by the Germans to their Italian ally, mostly to compensate for their losses in Africa. These saw action in 1943 at Gela, Sicily, notably against the US Rangers in the early hours of the Allied invasion (Operation Husky). 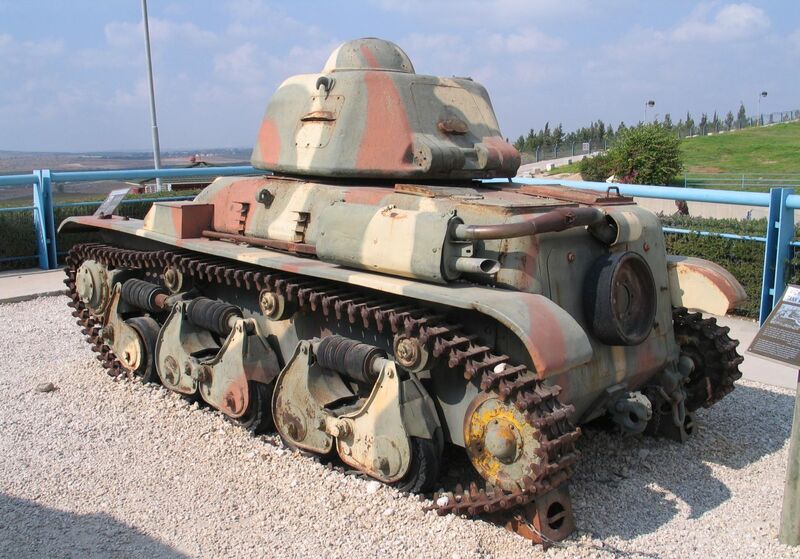 Romania’s rearmament plan was in full sweep in the early 1930’s when the last Renault tank was tested. The Romanian government sought about acquiring a licence to produce 200 R35s locally. 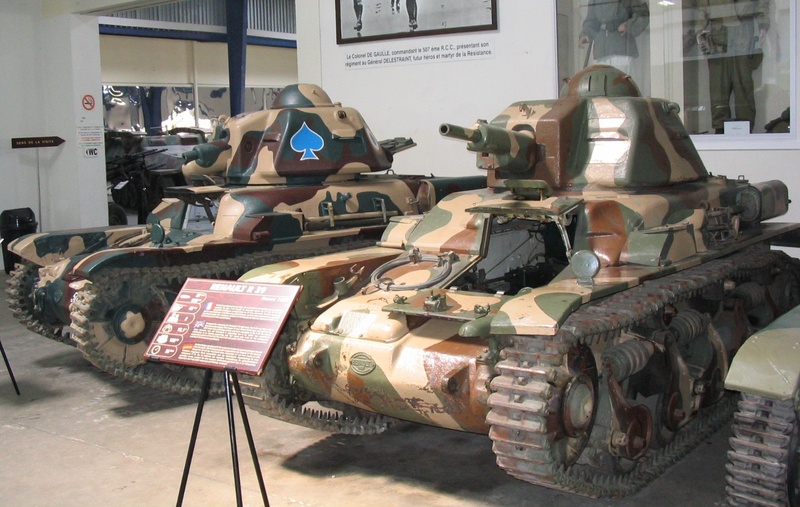 However, since French rearmament was given priority, as a stopgap measure, forty-five R35s were sold and shipped in Romania in August and September 1939, making up the bulk of the newly formed 2nd Armored Regiment. At the end of September, an unexpected thirty-four Polish R35s from the 21st Light Tank Battalion, which fled the Germans, crossed the northern border. These were interned and bolstered the strength of the 2nd Armored Regiment, then made of two brigades. Although these were used as is by the Romanian army -now part of the Axis- thirty-six were converted by Atelierele Loenida in 1943-44 with a high-velocity Soviet 45 mm (1.77 in) gun and saw action as the Vânătorul de Care R35. 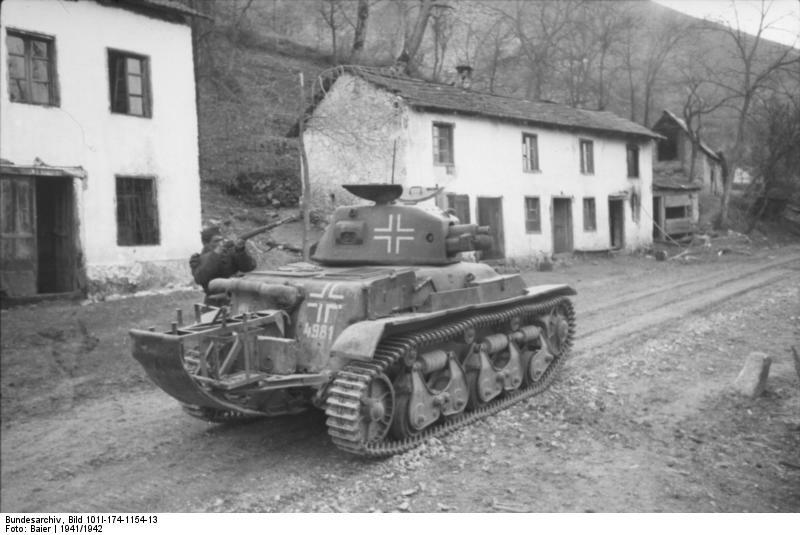 Hungary used some R35s, as they interned ex-Polish tanks which were posted on the southern border during the invasion, and crossed it to avoid capture. Bulgaria received some R35s from the Germans and used them in 1943-1944 against partisans. Switzerland too interned a dozen R35s that crossed the French border in June 1940. After the war, ex-French R35s left in Syria were reconditioned and used by the Syrian forces against the Israelis in the 1948 conflict. Five saw action against the kibbutz Degania Alef, but were knocked off by Molotov cocktails and a single 20 mm (0.79 in) AT gun. One is now part today of the Yad-La-Shiron museum collection. Early R35 with a complicated six-tone camouflage. This particular livery was unveiled by P.Danjou for Minitracks. R35 “Jaguar” from an unknown unit, May 1940. R35 from the 20th BCC, France, May 1940. R35 from the 23rd BCC in June 1940. “Le Buffle” from the 12th BCC, France, June 1940. 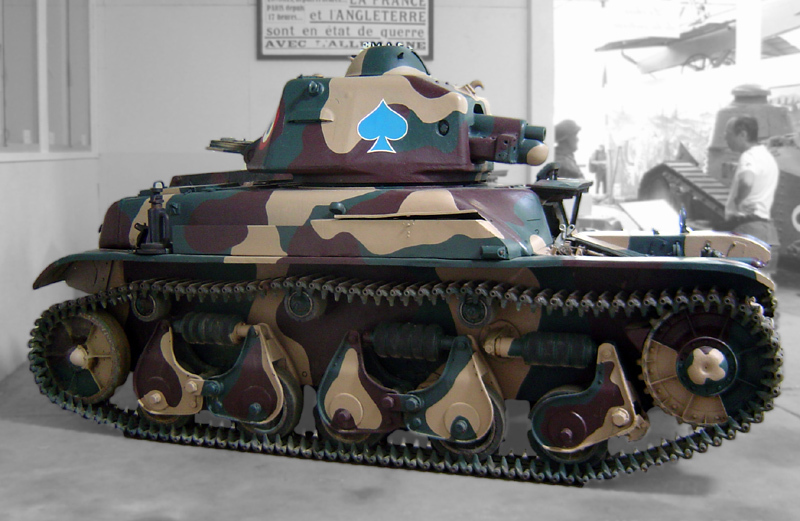 R35, 1st Compagnie Autonome de Chars de Combat, Vichy France, 1941. R35 modifié 39, 10th BCC Tank Brigade, France, May 1940. Renault R40, Loire sector, France, June 1940. Yugoslav vehicle captured in Belgrade, 1941, from the 1st Battalion Bornich Kola. Panzerkampfwagen 731 R(f), France, fall 1940. Italian R35, Ariete Division, Sicily, March 1943. 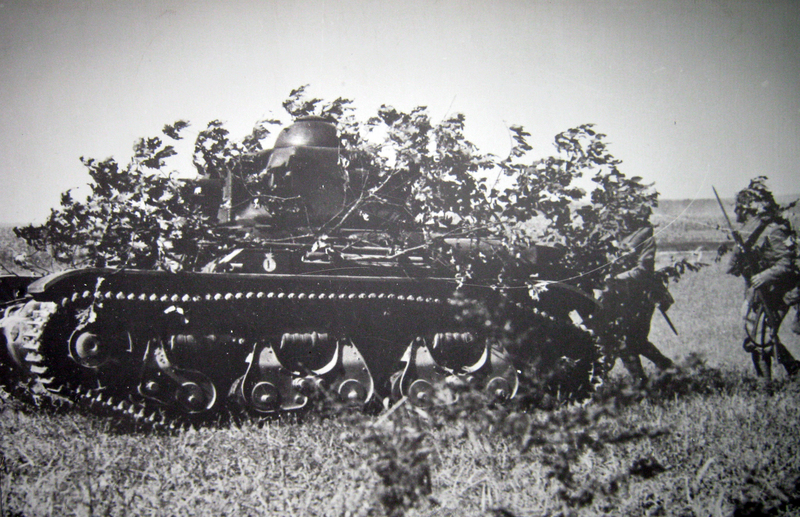 Vânătorul de Care R35 (Romanian rearmed R35), Ukraine, summer 1943. The 4.7cm(t) Panzerjäger auf 35R(f), or Panzerjäger 35R, was a conversion of the French Renault 35 chassis with a Czech 47 mm AT gun. Already obsolescent Panzer I chassis were similarly converted into the Panzerjäger I in late 1940 and early 1941. It had a straightforward arrangement, with a three-sided open casemate built around the gun, above the base superstructure. Behind it a large ammo storage bin was built over the engine deck. Although slow and high, 174 of these 1941 little tank hunters had been converted for Operation Barbarossa in the summer of 1941. They were later withdrawn and served with units guarding occupied territories, in France and Holland. Many saw action again in Normandy, but by that time their killing power was not highly valued. To come : Syrian R35, 1956. Latrun museum – Credits: Wikimedia Commons. Thank you, sent this to the writer who is doing the Yugoslavian stuff.